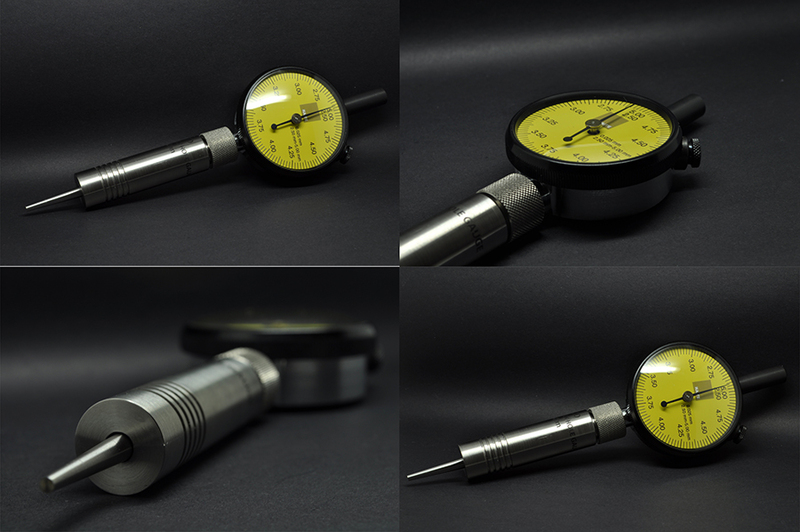 The KWIK CHECK, helps you to measure the diameters of holes, quickly and accurately. In industrial work environments, it is very important to be able to measure the diameter of (small) holes quickly. Opensupply now offers you the perfect solution: the KWIK CHECK. The KWIK CHECK uses a sliding tapered needle that displays the information as you measure on a dial readout. The KWIK CHECK is accurate up to 0.025 mm! The perfect solution for measuring small holes in sheet metal, small bores, fuel injection nozzles, etc. Quick and easy! – The KWIK CHECK allows you to measure small holes, quick an easy, with a high degree of accuracy. – The KWIK CHECK can be used by anyone and does not require special skills. – The KWIK CHECK has a clear dial readout that shows you the information you need to know. – The KWIK CHECK makes extremely accurate measurements possible, thanks to the needle gauge, which is made of hardened stainless steel, to minimize wear. The needle of the KWIK CHECK is easy to use and provides very accurate readings. To summarize, the KWIK CHECK allows you to measure small holes in, for instance, sheet metal, fuel injection nozzles, etc. with a high degree of accuracy. OpenSupply provides the KWIK CHECK in the three versions listed above. We will make sure that your KWIK CHECK meets your requirements! OpenSupply can also supply additional needles, for instance in case of wear after heavy usage. – The KWIK CHECK can be use by anyone and requires no special skills – The KWIK CHECK offers a quick and easy way to carry out measurements with a very high degree of accuracy – The KWIK CHECK is easy to use and the information is shown on a convenient dial readout OpenSupply offers a wide range of industrial equipment, components and tools. If you want to know what OpenSupply can do for you and your company.